Gylfi Sigurdsson (£7.2m) steered Swansea City to a 2-1 victory over Southampton to claim the highest Bonus Points System (BPS) total in the Gameweek’s opening seven matches. The Icelander tallied 39, courtesy of a goal and assist contribution to Tuesday's win, earning his first maximum bonus points of the campaign. Ryan Bertrand (£5.4m) collected two bonus points for the visitors, with the Saints' full-back winning three tackles, in addition to providing the assist for Shane Long (£6.1m) to score Southampton's equaliser. The striker scored 31 BPS to Bertrand's 32, picking up a single bonus point. Long also made two key passes, but was tackled twice and also committed a pair of fouls. Rising to joint-fifth in the Fantasy Premier League midfield standings, Sigurdsson is already the second-most bought player ahead of Gameweek 24. Over 7,000 FPL managers have snapped up the playmaker overnight on the back of two goals and a pair of assists in his last four Gameweeks. 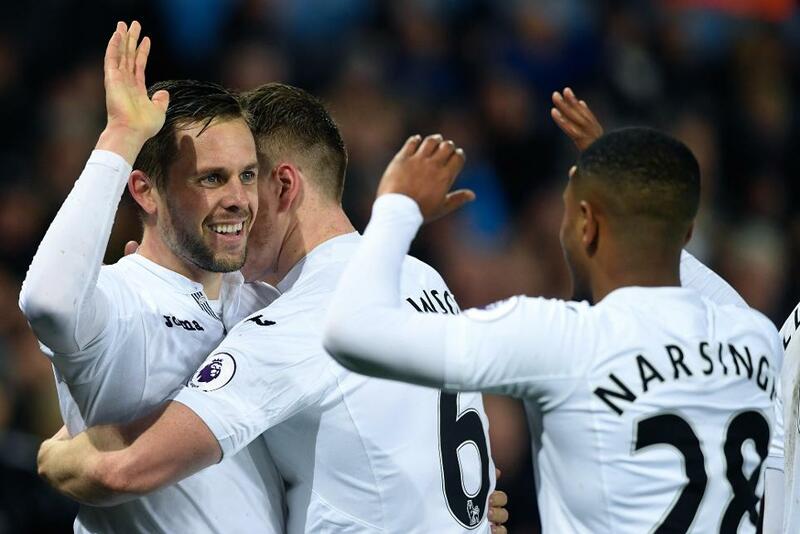 Sigurdsson has now played a part in 51% of his side’s goals when on the pitch, with Swansea winning three of four matches since the departure of Bob Bradley. According to the Fixture Difficulty Rankings (FDR), five of the Swans’ next seven fixtures score no more than two. This sees them face rivals Leicester City, Burnley, Hull City, AFC Bournemouth and Middlesbrough over that period. That encounter with Hull is one of just three matches that is assured to take place in Gameweek 28, due to uncertainty over potential postponements caused by the FA Cup quarter-finals. Long’s consolation for Southampton took his tally to two goals and an assist in the previous five rounds of fixtures, yet the arrival of Manolo Gabbiadini (£6.5m) from Napoli places question marks over his starting role. At the back, Southampton now have just one clean sheet in seven Gameweeks and remain without the influential Virgil van Dijk (£5.7m), who is sidelined with an ankle injury. Furthermore, their upcoming schedule deters short-term investment. The Saints’ progress to the EFL Cup final means that their encounter with Arsenal has been moved out of Gameweek 26 and will be rescheduled. Their Gameweek 28 meeting with Manchester United could also be subject to change should the Red Devils progress to the quarter-finals of the FA Cup.